Author and journalist Bernd Matheja (i.a., 1000 Nadelstiche, Listen Reich) has documented the history of this extraordinary musician, his musical influences and his personal achievements in an extensive 28-page portrait, including many photos, some of which taken from the Kaempfert family archives. 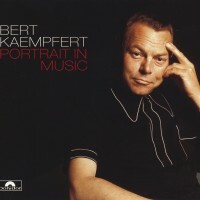 Bert Kaempfert was like his music: quietly spoken. Despite all his tremendous successes internationally, he remained a modest person, and the innumerable awards did nothing to change this. In 1993 he was given the highest honour that can be accorded a composer: his posthumous induction into America’s Songwriters’ Hall of Fame.